After over six months with the ReimaGo Activity Sensor it’s time to take a look at it again and join the #MillionHoursOfJoy campaign! Disclaimer: The ReimaGo Sensor and some of the garments have been provided by Reima for review. This did not influence the article as I maintain full editorial control of the content published on this site. There are affiliate links in this article. Read the Transparency Disclaimer for more information on affiliate links & blogger transparency. Remember my ReimaGo Review from the spring? Well, we feel it’s time for an update on how the sensor and the app have performed and developed over the last six months. 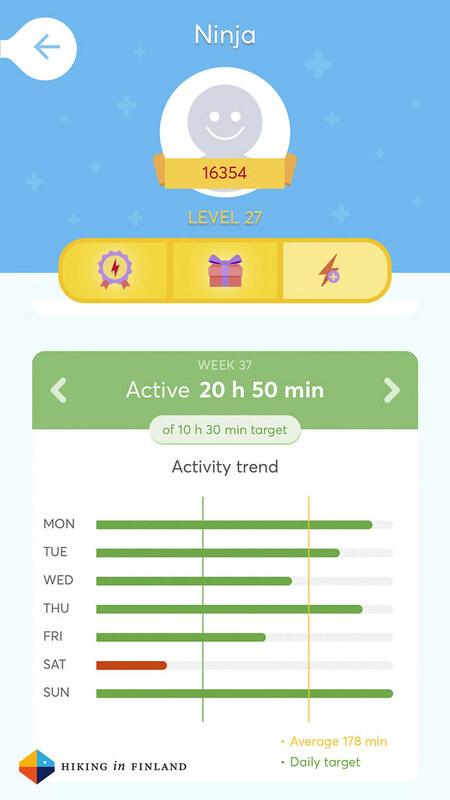 Back in our spring review the ReimaGo App had 15 levels and we were almost through them in a matter of weeks (which means our son was very active and collected lots of points to move his avatar forward through the ReimaGo World). We already knew by then that our son was plenty enough outside (he only uses the Sensor in his outside jacket), but what we learned then too was that when it gets too warm for the jacket he doesn’t collect any points (even if he’s outside) - we were for example in the end of May for two weeks in Germany, and with it being the hottest May on record in Germany ever (we had every day over 30°C degrees, with five days even having over 35°C!) he never wore the jacket and wasn’t “active” those two weeks, even if we were every day outside. Sure, there’s a rubber hand strap that comes with the sensor, but we didn’t have it with us and even now we seldom use it. We really hope that for next year Reima releases some summer garments which have the ReimaGo pocket which can be worn in warm weather. Anyway, the ReimaGo App. 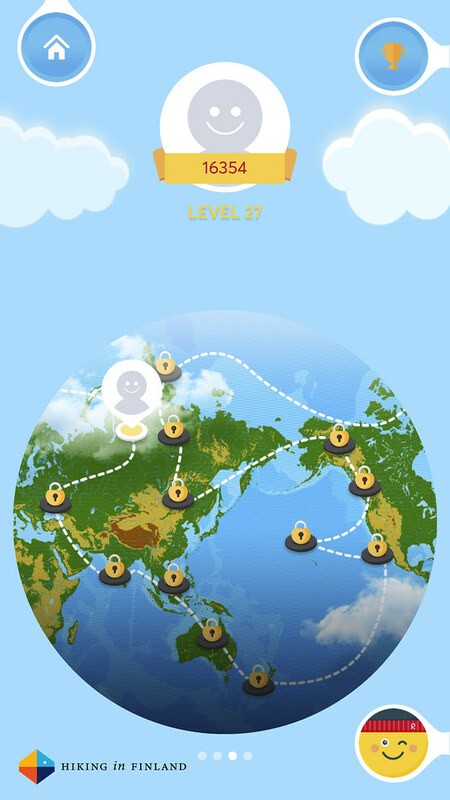 It had a major update since the spring and now there’s over 40 Levels on the new globe map, which lets you travel around the world. 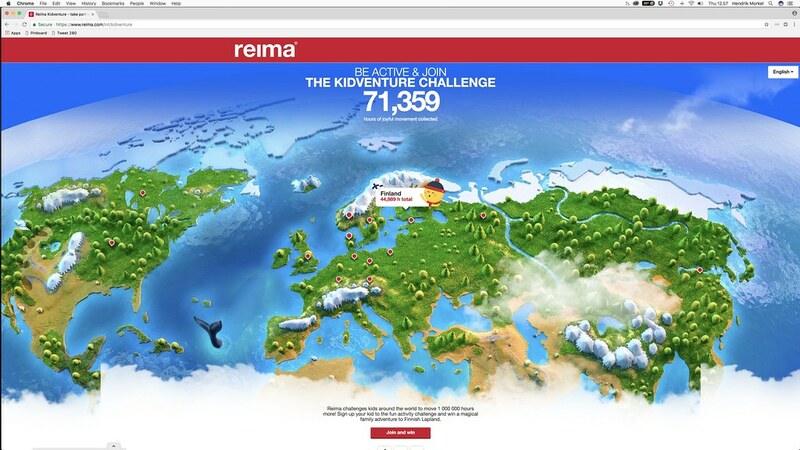 This is positive as it makes the game of being outside more long-lasting - lets see if Reima will add more levels once the first kids start to reach the last levels. There’s now also a little story about the avatar (Goey) and how he animates kids to go outside, it’s a nice touch. 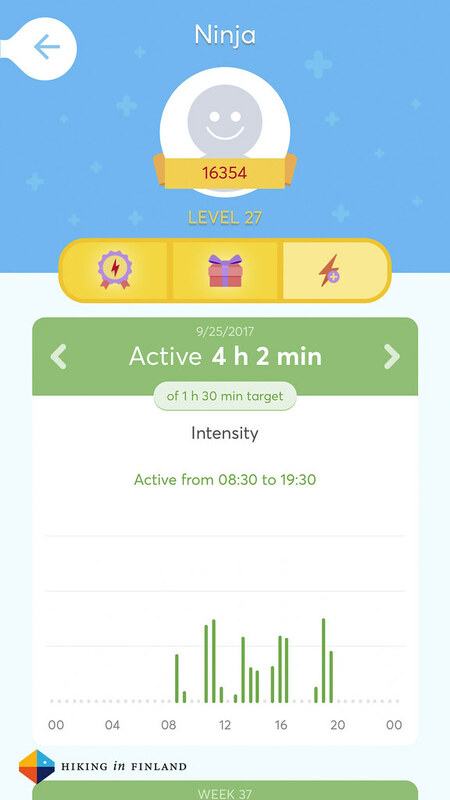 Our son still loves to move his avatar forward and is happy each time he gets to finish a Level, and for us parents its still very good to see how much he is outside each day and week. The app also still is a good motivator to get him out if it isn’t a great day outside, which is pretty nice. A “Lets go collect some ReimaGo points so you can finish that level” works very well to motivate him to get dressed and go for a walk or play in the garden. The usability of the app still is the same, it’s OK but not mind-blowing - simple and does its job well. Finally, the app also lets you join the #MillionHoursOfJoy campaign easily, which I’ll talk about next. I was along at the OutDoor Friedrichshafen during the launch of the Kidventure campaign. 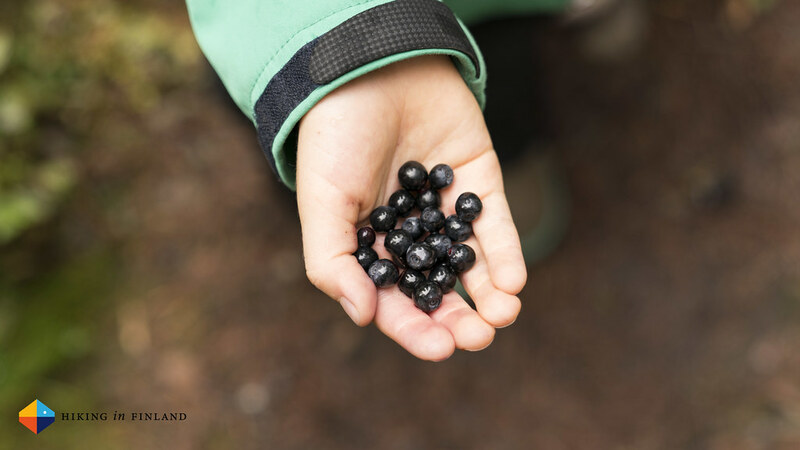 The idea is to challenge kids around the globe to spend more time outdoors, and hence to collect together a million hours of time spend in the outdoors. You can participate via the above linked Website if you have not yet a ReimaGo Sensor, or if you have the latter then it’s super easy to join the challenge by signing up via the app and then automatically all your hours of outdoor time will be donated to the project (as far as I can tell, you don’t lose anything either =). 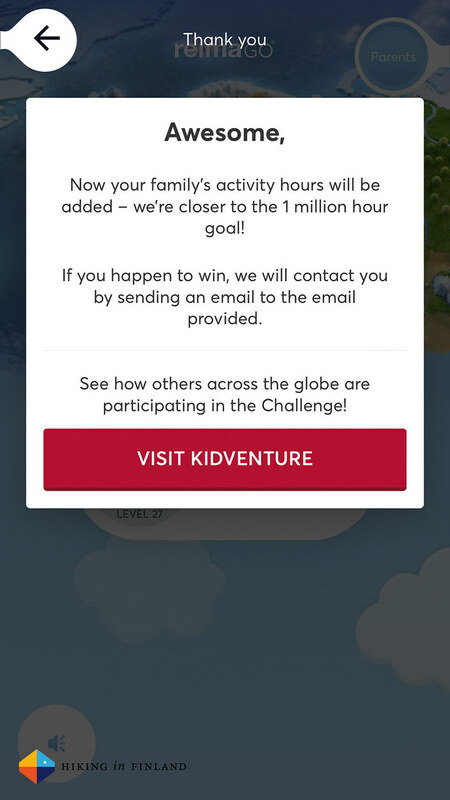 You also can use the #MillionHoursOfJoy Hashtag on Social Media when you’re out there with your kids - because remember #ItsGreatOutThere =) If you compete in the campaign you also have the chance to win prizes each week, and the grand prize is a winter week in Lapland - a very nice experience for kids, as we know! 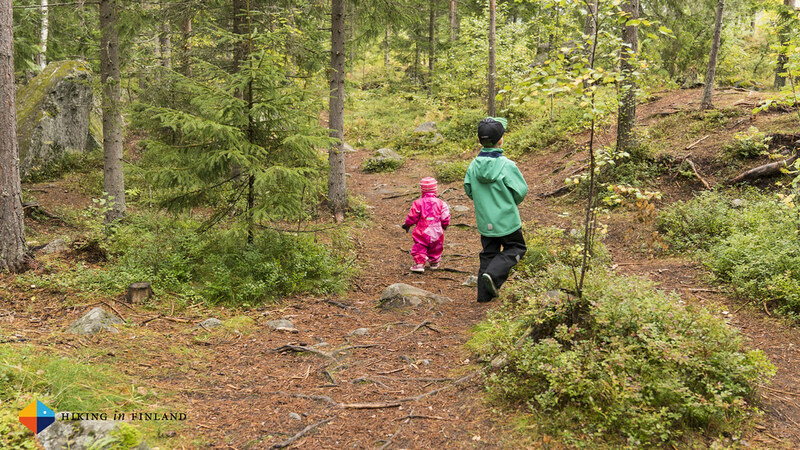 We think this is a great initiative - getting kids outdoors is always positive as it allows them to become better people; instead of sitting inside in front of a computer or TV kids should be outside and building huts, exploring the forests and be in nature. Thus, if you feel so too - join the campaign and go outside with your kids! 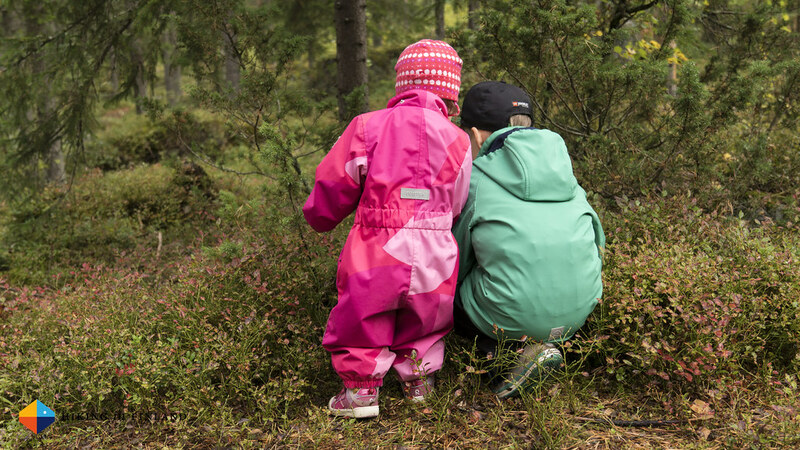 Finally, it’s my pleasure to offer you a -15% Discount on ALL Reima garments until the 15th of October - that makes it even more affordable to get a ReimaGo Sensor and a jacket, fleece or pants to measure the activity of your kids or get those Välikausivaatteet or winter garments! The Code is HIK17ING and applies to all products in the Reima Webshop but can not be combined with other discounts. Direct your browser to the Reima webshop and add the code at the end in the coupon field!